Women and Life on Earth: What's new? Freedom Rider: Prison Strike 2018. The Women's Pentagon Action revisited. Women say No to NATO. From Public Citizen's Corporate Presidency site: "44 Trump administration officials have close ties to the Koch brothers and their network of political groups, particularly Vice President Mike Pence, White House Legislative Affairs Director Marc Short, EPA Administrator Scott Pruitt and White House budget director Mick Mulvaney." "Democracy in Chains: The Deep History of the Radical Right’s Stealth Plan for America" see: our site, and George Monbiot's essay on this key book by historian Nancy MacLean. Full interview with The New Yorker’s Jane Mayer March 29, 2017, Democracy Now! about her article, "The Reclusive Hedge-Fund Tycoon Behind the Trump Presidency: How Robert Mercer Exploited America’s Populist Insurgency." 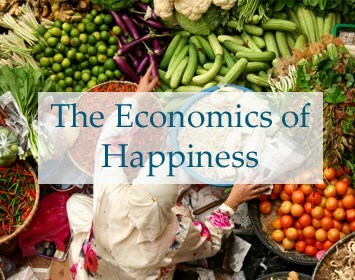 Local Futures offers a free, shortened version of its award-winning documentary film The Economics of Happiness. This 19-minute abridged version "brings us voices of hope of in a time of crisis." www.localfutures.org. You are here: > English > What's new? Women and Life on Earth - women in international cooperation for peace, ecology and social justice.